justthefood.com...the blog: The Complete Guide to EVEN MORE Vegan Food Substitutions--A sneak preview recipe, and a giveaway! 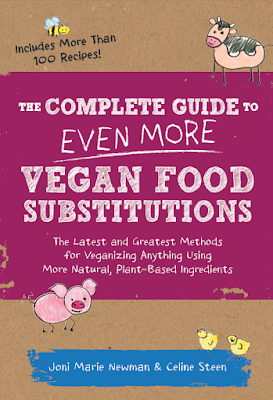 The Complete Guide to EVEN MORE Vegan Food Substitutions--A sneak preview recipe, and a giveaway! With an official book release date of July 1, it has been confirmed that Celine Steen and my newest book is now available! That's early, kids, and that almost never happens. Just real quick...we feel it is very important to note that this book completely stands on its own two feet. It is not a reissue of the original. And it is not full of the same recipes and tips. It plays nicely with its predecessor, but you do not need to own the first one in order to reap the benefits of this handy little guide. In order to celebrate it's early release, I am going to share one of my favorite recipes from this book. 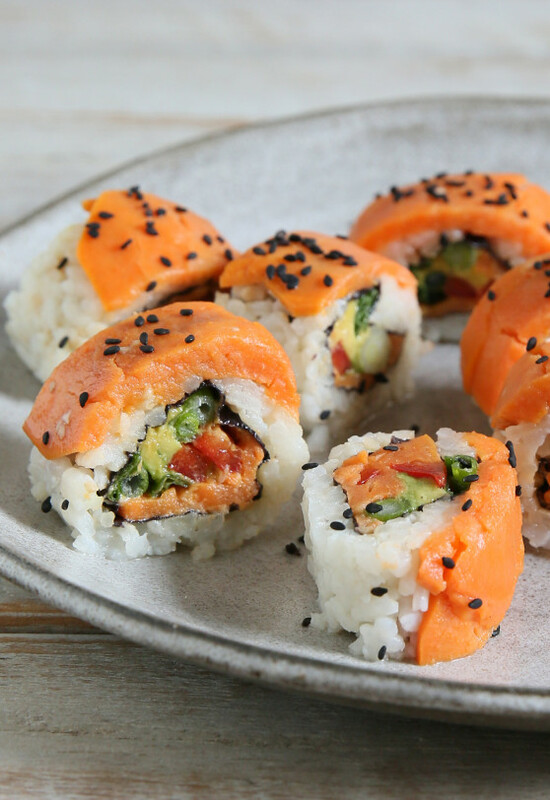 The Sweet Potato and Avocado Sushi. Now, I am going to share the behind the scenes photos I took with my phone. Don't worry, beautiful pictures, like the one at the top of this post, grace the pages of this book. I am just providing these pics to help out with the how to. I leave the real photography to the pros. I am also giving away a copy of the book, signed by me, to one lucky person. Just follow the prompts in the Rafflecopter widget at the end of this post to enter. I attended the Stop Breaking the Law As#! @* workshop at Vida Vegan Con, so you will see a few changes in the way I run my give aways. Sorry, Canada. Ok, back to the good stuff. Here is a sneak peak recipe from The Complete Guide to EVEN MORE Vegan Food Substitutions. This clever roll mimics the look of an inside out salmon roll, with thin slices of sweet potato standing in for the salmon. The sweet rice plays nicely with the spicy sauce, green onion, and bell pepper. Because of the cooling and prep time involved, you can make this in two nights. One night for prep, and the next day assembly. To make the rice: Place all ingredients in a rice cooker and follow the instructions on your machine. If you do not have a rice cooker, bring water and salt to a boil in medium saucepan. Stir in rice, agave, and vinegar. Return to a boil, reduce to a simmer, cover, and cook until rice is tender and has absorbed all the liquid, 16 to 18 minutes. Remove from heat and cool completely. To make the sweet potatoes: Preheat oven to 375°F (190°C, or gas mark 5). Have ready an 8-inch (20-cm) square baking dish. In a small mixing bowl, whisk together all ingredients except the sweet potato. Pour a small amount of marinade into the bottom of the baking dish. Peel your sweet potato and slice into thin slices, approximately 1/8-inch (3-mm). Dip each slice in marinade and layer in the baking dish. Pour any remaining marinade into the dish. Cover tightly with foil and bake for 30 minutes. Remove from oven, remove foil and cool completely. To make the spicy sauce: Whisk ingredients together until well combined. Keep refrigerated until ready to use. 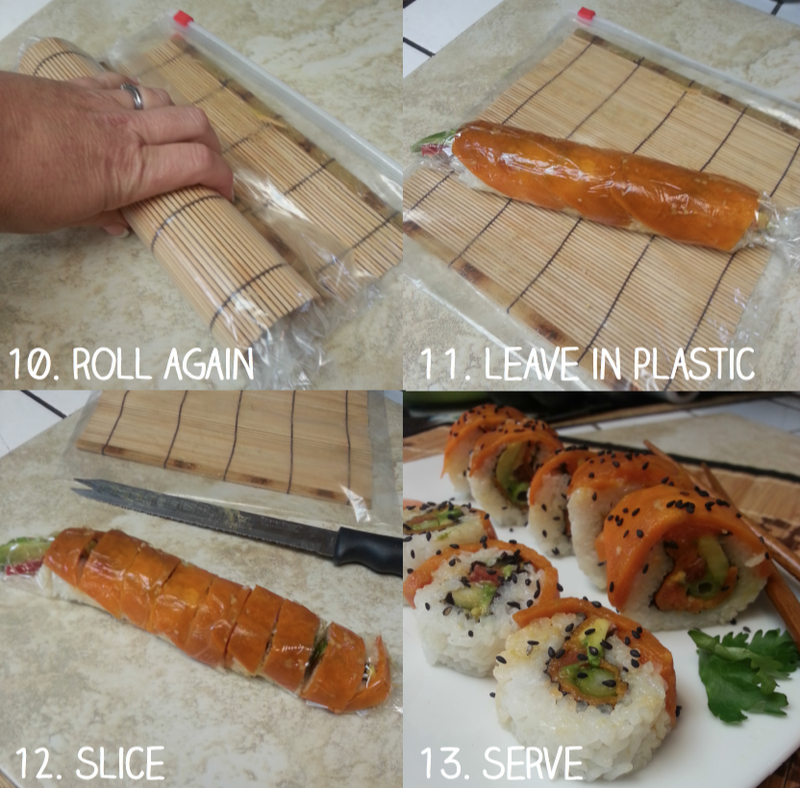 To assemble the rolls: Place your bamboo mat inside a re-sealable bag. Place on a flat work surface with the bag opening facing away from you. Place one half-sheet of nori on the edge closest to you. Add a layer of cooled rice to completely cover the nori about 1/4-inch (6-mm) thick. 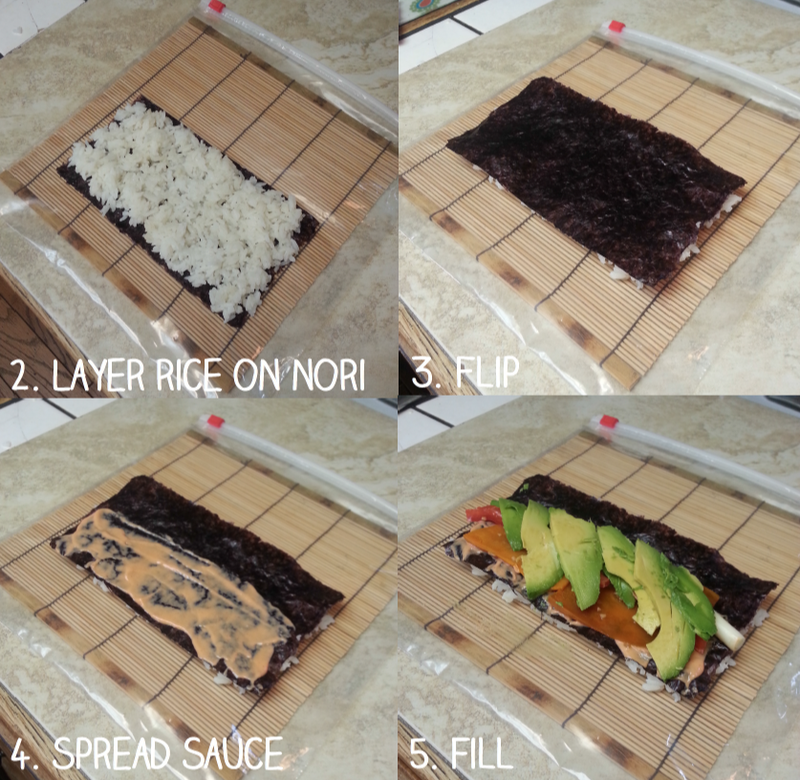 Flip over so the rice is face down on the plastic and nori is side up. 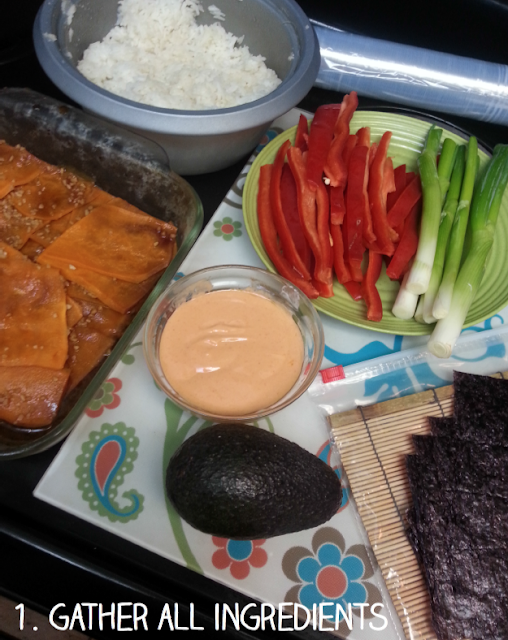 Spread a thin layer of spicy sauce on the nori. To the center of the nori sheet, layer 2 to 3 slices of cooled sweet potato1/4 of one avocado, sliced, about 3 julienne strips of red bell pepper, and 1 stalk of green onion. Carefully roll the sushi as tightly as possible to close and create an inside out roll. Open mat and make sure roll is seam side up. Lay several pieces of sweet potato over the seam, making sure to overlap the edges. Cover the entire roll with plastic wrap, then reroll in the bamboo mat to form the sweet potato around the roll. 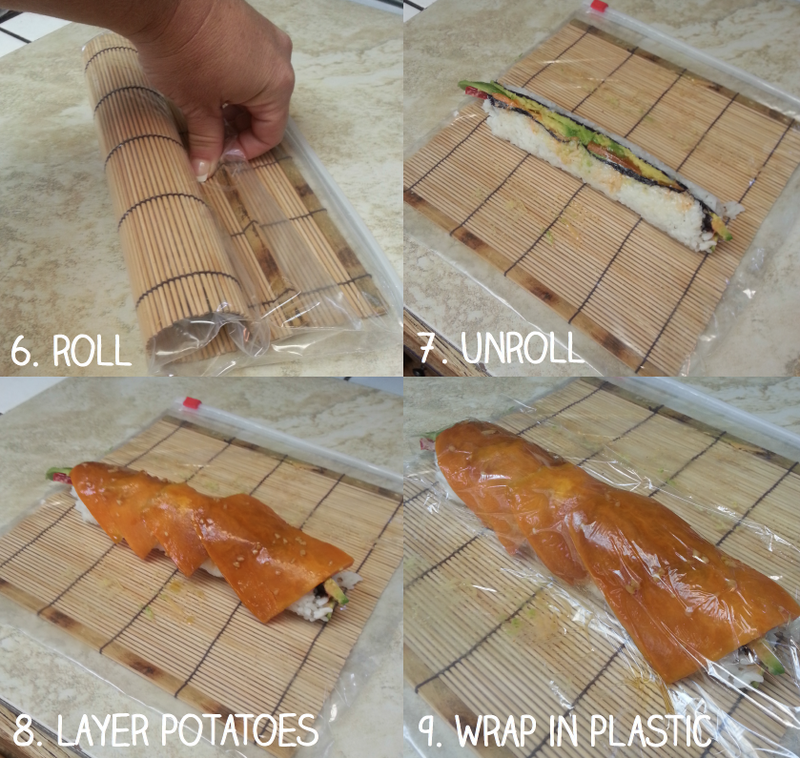 Leaving the roll in the plastic wrap, lay the roll sweet potato side up. Using a very sharp knife, cut off each end of the roll and discard (or eat!). Then cut the roll in half. Then cut each half into quarters, and finally each quarter into eights. Carefully remove each piece from the plastic and plate. Garnish with black sesame seeds if desired. Serve with spicy sauce for dipping. I successfully veganized my grandma's German potato salad. That was major! Now, with the discovery of aqua faba, I'm going to attempt a vegan version of my favorite Christmas cookie (which also is Grandma's recipe). It's a macaroon made with egg whites, coconut, sugar, pecans, vanilla and cornflakes! My fav food has not changed-peanut butter! Give me a loaf of bread and some PB and I am good to go (as is my grandson-he just wants his toasted!). I love any kind of cake or cookie. I find it very easy to make vegan versions of these now. My favorite food has long been fried rice without egg. Now I get it or make it with vegetables and no meat. Just wondering, have you found a type of nori that doesn't use mollusk shells? I choose to avoid it becuse I feel that the process of growing it is as harmful to shellfish as eating them. I loved pumpkin pie before going vegan and it took me years to find the perfect vegan pumpkin pie -- from Vegan Pie in the Sky. I make that pie every Thanksgiving. Holy moly, look ssoooooo good Joni! 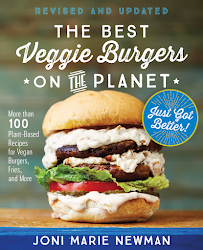 I didn't have any cookbooks before going vegan. there were two lasagna which I've nailed and meatloaf which I've yet to make one that the family will eat. It's a texture thing, they always end up mushy in the middle. thanks for the chance to win! My favorite was pizza and I have been able to still enjoy it with vegan cheese. Pizza is one of those things I think I like more as a vegan than I did before. SOOOOOOO GOOOOD! I think I may have had one or two, but never ever used them. I have hundreds now. Haha. My favorite was Teriyaki Chicken Bowls. Now I use cauliflower instead of the chicken. I *loved* cheese, big time. I'd sit & eat a block. 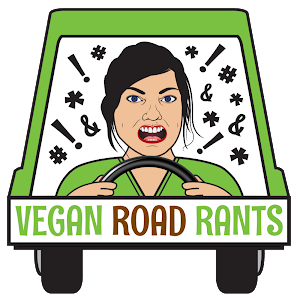 Luckily, there's are tons of great vegan recipes out there, so I don't even miss it! 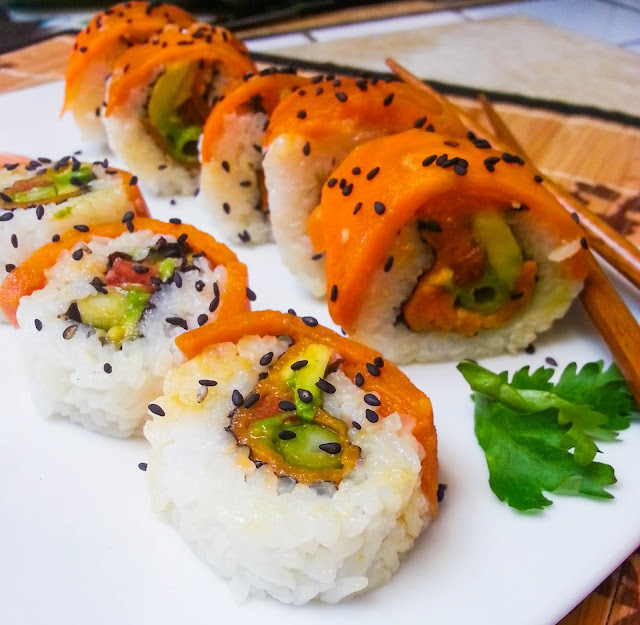 Sushi looking Delicious, I am not a vegan but my sister is vegan and she eats vegan snacks, I have also tried vegan food and its truly amazing, Pana choclates are my favorite. 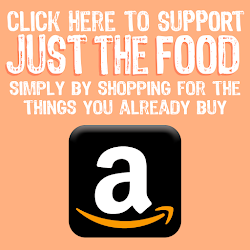 We shop Online pana Chocolate.